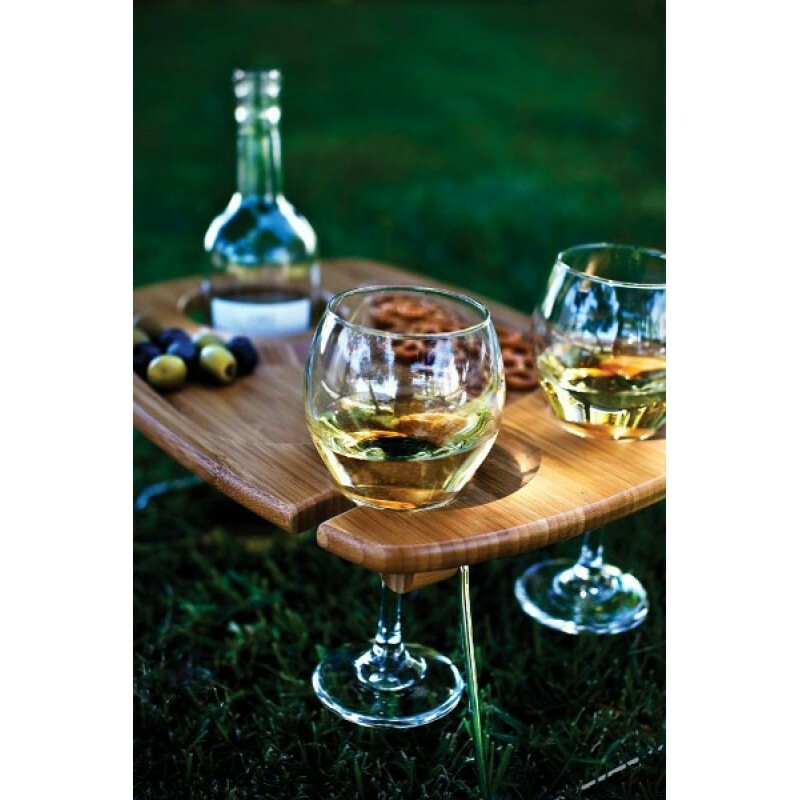 The Mesavino is a beautifully hand-crafted solid bamboo table with carved-out sections to hold one wine or champagne bottle and two wine glasses. Nested between the wine bottle and glasses is a spacious carved-out tray to hold your appetizers. 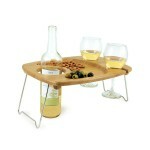 It's perfect for romantic picnics or the beach...anytime you need a sturdy table to hold your wine and food. 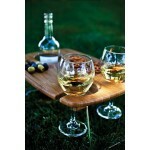 Chrome-plated legs fold flat against the table for easy storage and transport. The Mesavino is convenience made easy! Care Instructions:Surface wash only with a damp cloth. To prevent wood from warping and cracking, do not submerge in water.